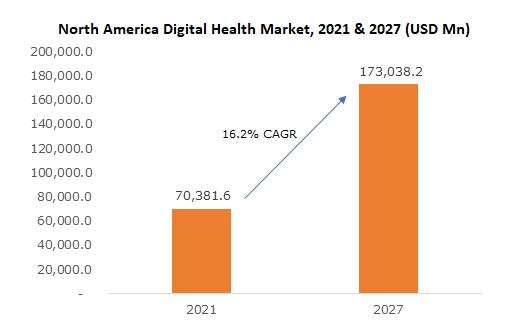 North America Digital Health Market size was valued at USD 40.3 billion in 2018 and is expected to witness 28.4% CAGR from 2019 to 2025. The North America digital health market was driven by increasing prevalence of chronic disorders, increase in geriatric population, healthcare costs and healthcare regulatory norms. Moreover, technological advancements such as mobility and analytics and development in healthcare IT infrastructure in North America are responsible to trigger the growth of overall digital health market in North America. Rapidly improving healthcare infrastructure and the rising incidences of chronic disorders. Moreover, growing usage of mHealth apps coupled with rapid adoption of wireless health & mobile health services, rising implementation of EHR in hospital owned ambulatory care, increasing awareness levels regarding innovative and advanced applications of medical devices are some of the factors enhancing the growth of digital health market in North America. 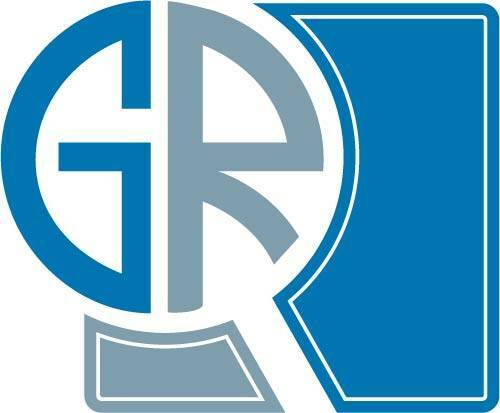 Digital health systems segment held USD 21.1 billion revenue size in 2018. Factors such as increased penetration of smartphones, tablets, rapidly improving IT infrastructure coupled with favorable government initiatives will boost the segmental growth. Moreover, technological advancements in terms of mobility and analytics are also responsible to trigger the growth of digital health system market. Telehealthcare segment is witnessing the most lucrative growth of 30.5% during the forecast period. Telehealth is an important part as the industry and seeks for progress in excellence by moving away as of fee-for-service model towards further outcome-focused care and reimbursement. Moreover, factors such as increase in funding for telehealth, the scarcity of doctors in the U.S., development in telecommunication infrastructure, and increasing awareness levels of tele-health will propel the segmental growth. U.S. digital health market recorded USD 36.6 billion revenue size in 2018. Factors such as rising incidence of chronic diseases and growing geriatric population base in the region will drive the market growth in the U.S. Moreover, U.S. is in forefront for technology adoption and the country is working towards developing smart manufacturing infrastructure that will help operators to make real time use of big data, thereby boosting the market growth. Some of the major industry players involved in North America digital health market include McKesson Corporation, Philips Healthcare, Athena Health, Cerner Corporation, Allscripts Healthcare and others. The North America digital health market is highly fragmented with many small and medium players stretched across U.S. and Canada. Companies mainly focus on new product launch, geographical expansion, acquisition strategy, agreements, and collaborations to stay ahead in the competition. Digital health technologies have grown dramatically as wearable and smart health technologies are being increasing adopted by the consumers owing to growing use of smartphones, tablets, and other mobile platforms in North America. Favourable initiatives have led to the introduction of technologically advanced healthcare IT facilities, and sophisticated healthcare infrastructure supporting the growth of North America digital health market size. Digital health technology has also revolutionized the field of rehabilitation by integrating the technology with robotics. This can be demonstrated by the partnership between VisioMed Group and Robotopi that launched Pepper, a next-generation life assistant to help caregivers collect health data in hospitals, rehab centres and retirement homes.